Whether you are new to fitness or an experienced athlete, My Tribe Boot Camp Co. is the right place for you to start training. We are a diverse workout community with a culture focused on fitness, fun, and hard work. All of our members know each other’s names and support one another during our total body workouts. My Tribe will help you reach your strength training, endurance, and fitness goals, and will get you into the best shape of your life. Get your shoes dirty with one of Atlanta's longest running fitness programs (since 1996). See if we are as good of a fit for you as we have been for thousands of Atlantans. My Tribe Boot Camp Co. is the perfect place to begin your fitness journey. 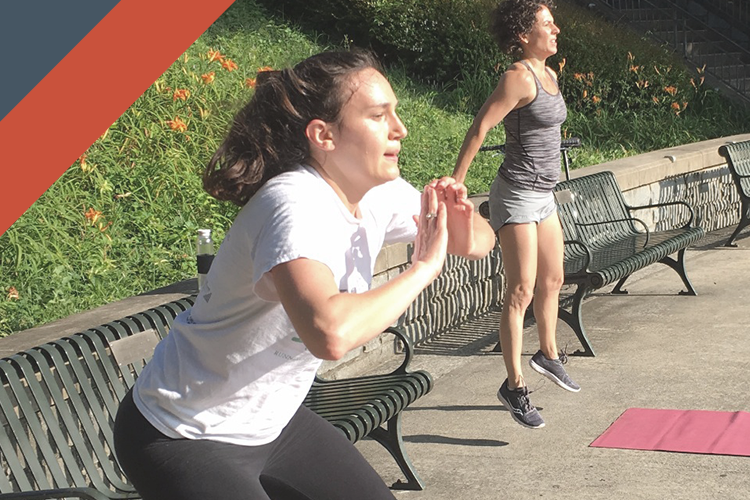 Our diverse workout community offers the best strength training, cardio, and personal training in Atlanta, which motivates people to get fit through our fun boot camp fitness regimes. My Tribe Boot Camp Co. will help you reach your workout goals and give you the total body workout you've been craving! At My Tribe Boot Camp Co., our total body workout approach is what gives us the best personal training value in Atlanta, and we have proudly helped thousands reach their strength training, endurance, and fitness goals since 1996. We asked ourselves what is vital to our clients, and we arrived at a boot camp training regimen that is both efficient and effective. It doesn’t matter if you have never worked out before or are just ready to take your personal fitness to the next level. At My Tribe, we will help you get wherever you want to go.